A mobility start-up in Santa Monica, California is bringing the ad-supported digital economy to life in the car sharing business, writes Robert Gray. WaiveCar, which claims to be the world’s first all-electric and free car-sharing service is literally waiving fees for short journeys. “It’s like Zipcar but free,” explains Zoli Honig, co-founder and chief operating officer. The model operates in a similar fashion to Zipcar. Customers sign up on an app and use it to find available cars in their area but, unlike other car sharing services, consumers can drive the cars free of charge for two hours and only then do they pay $5.99 an hour thereafter. The rental cost is primarily covered by a unique advertising model that includes car-top digital displays that essentially transform the vehicle into a rolling billboard. The company’s unique advertising partnership with Hyundai also transforms the car itself into an advert for the vehicle because it features the roof-mounted digital display and is wrapped with the carmaker and model names on the car itself. 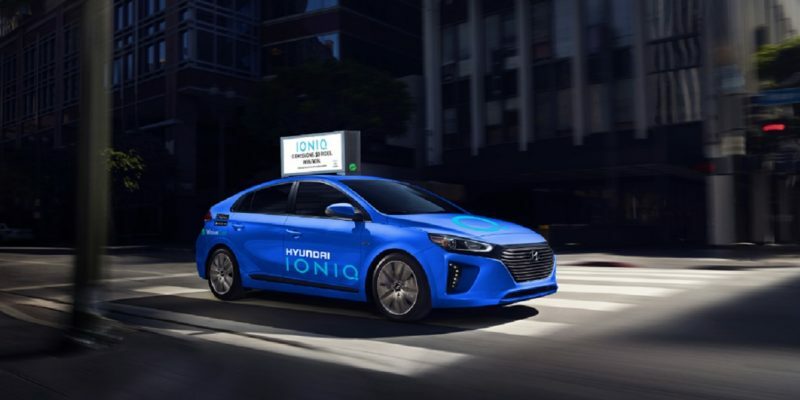 Under terms of the strategic partnership Hyundai is providing IONIQ electric and hybrid vehicles as well as Tucson FCEVs for the nascent service, which currently serves the Los Angeles metro area and a pilot program featuring a few cars in Brooklyn. Honig says the overall fleet currently has 100 cars and he expects to have 200 by year’s end. The idea was hatched by Honig’s friend, Isaac Deutsch, who serves as WaiveCar CEO. After convincing Honig to come aboard, the co-founders brought on Roy Ryman to run the fleet. Ryman was previously fleet manager for car2go. They started up the business with just 20 cars in Santa Monica in January 2016. In fact, the all-electric fleet sparked little interest, and perhaps, some enmity, from potential automaker partners in the early days. “It was a frustrating experience,” Honig says of talks with General Motors. “Unfortunately (GM) thought we were too close of competition for Maven so we weren’t welcome partners and they wouldn’t finance cars for us, we had to do it individually.” So Honig and friends, family, and employees managed to secure a small fleet of Chevy Sparks for the launch. An appearance on the popular TV show “Shark Tank” moved the company into higher gear. The show features entrepreneurs pitching their start-up concepts to a panel of high-profile venture capitalists who often take a stake in companies they are willing to bet will be winners. The start-up scored a $500,000 loan from investor Kevin O’Leary, which gave him a small stake in the company plus access to the advertising platform. For its part, Hyundai officials are upbeat about opportunities afforded by the partnership: “It’s a good opportunity to learn about the space and innovate,” Daniel Han, manager, advanced product strategy, Hyundai Motor America said in an interview. 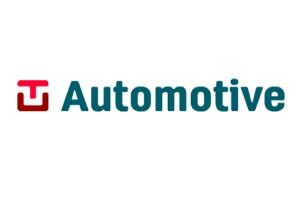 Jiao thinks the Hyundai partnership is perfect since the South Korean automaker is a brand that’s clearly making inroads in the US market but is still making a name for itself. Still Jiao doesn’t see more established carmakers or a CEO such as Elon Musk signing on for this type of partnership any time soon: “The automaker has to be new and not have a large market share. There’s no way Tesla will partner and lease their car for free. It has to be a smaller automaker to be successful.” WaiveCar is also working with other partners including EVgo, which claims to be the largest public electric vehicle fast charging network in the US. WaiveCar’s hometown of Santa Monica, California is a hotbed for shared mobility. The controversial electric drop-and-go scooter company Bird is also based there. The city does not have an official relationship with WaiveCar but it does have a partnership with Zipcar that more than doubled the number of vehicles the car-share company has in the seaside city just west of Los Angeles. “We don’t have a direct relationship (with WaiveCar), though we are supportive of electric vehicle adoption over gas powered cars and car share as a component of a strong mobility program,” Constance Farrell, public information officer, city manager’s office for the City of Santa Monica told TU-Automotive.